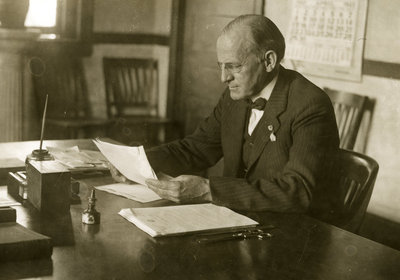 Henry Cherry became the first president of WKU in 1906 after shepherding the Southern Normal into a state normal college. He spent the next 31 years in the position except for two brief bids for Kentucky governor. Here he is seen in his office in Van Meter Hall.